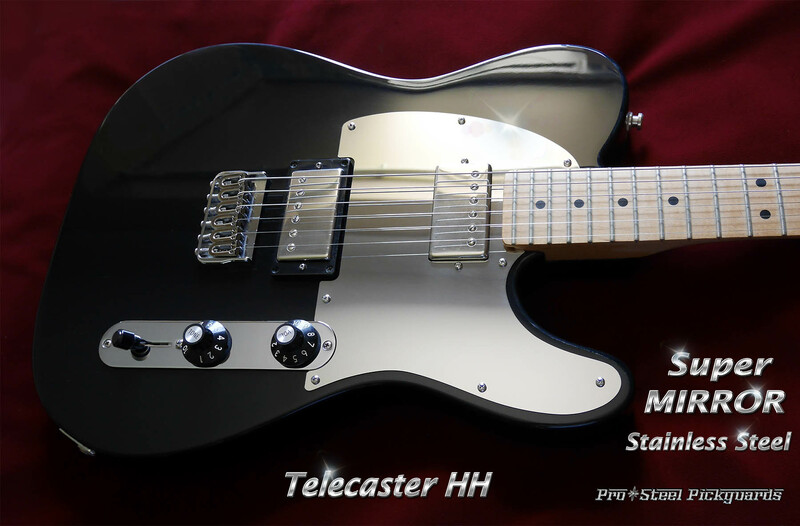 SUPER MIRROR Polished Stainless Steel Pickguard for HH Telecaster, and Blacktop. 100% full mirror polished stainless steel pickguard. Mirror guards look really good on a Telecaster. It's a perfect match for the factory Tele chrome Control Plate, very smart. FITS - Any Fender HH Telecaster or Blacktop Tele, USA & MiM. Japan Tele's: It should fit. Please test first if a Mexi or USA Tele guard fits. Squier Tele's: Will fit recent Squier Telecasters, This guard has exactly the same external shape and screw holes as a Standard Fender Tele Guard, except cut for a bridge humbucker. See above for Fit.